I am the lead developer for the KINOÏT Platform, a project that seeks to help people make more movies and festival organisers run better events. Kino Kabaret began in 1999, and today there are over 100 active chapters worldwide. 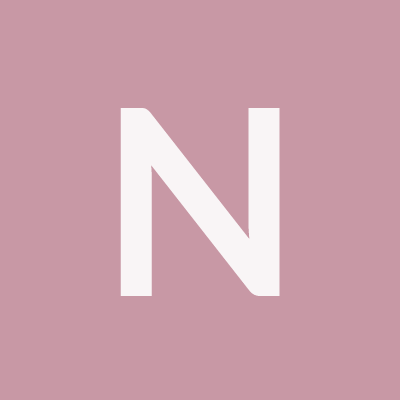 nothingismagick added a comment to T937: REST service and consumer proposal. nothingismagick added a comment to T931: AXIOM WebRemote: Where/How to save data?. Ok - I see. Then the interface will also need to show a folder list (with preview / editing options and perhaps metadata viewer - respective to data type.) Do you also expect / hope to send whitelisted commands via some kind of mock-shell? Wow - I didn't know that that was one of the deliverables. What do you mean by "etc."? Yes, we can serve from any folder. We would need to investigate the possibility of sym-linking a "DCIM" type of folder, but there isn't any real reason why it shouldn't work. As far as security is concerned, you are probably right sending and receiving flatbuffers. We don’t want DAEMON to unexpectedly crash. Here is how we could even serve http with libwebsockets, which would help to do the automatic upgrade to ws:// - it is public domain licensed. There will be minimum three connections with the client device, perhaps four. Of course - usually you have the whole reverse proxy cruft because you don't know who / how many clients you will have. The luxury behind this WebRemote as we are building it is that we will at most have exactly one client, who has "properly" identified itself with a UUID. We don't care about the rest of the universe. nothingismagick added a comment to T939: AXIOM WebRemote: Detailed Specs, Requirements and Build. FYI: This is what we are working on for the specification of the C&C. It is neither finished, nor valid JSON or anything else. "split the control daemon and rest server" -> that would be the approach with websockets, which I prefer and we are investigating right now. As far as the API goes, I would like to suggest versioning it according to a reference standard that documents the REST call, its expectations and all values. The current state (at T865) is what I would consider to be V0 - because it is not systematically standardised. As soon as everything is "written in stone", I would propose promoting the API to V1. Andrej, are you tracking this conversation too? Is there a complete list of all current and valid REST package requests? Cool - I saw that referenced in the C code, but didn't know how to expect / construct it from the JS. I totally understand the issue with node running on the box, and is why I suggested the C library for websockets. One thing to keep in mind is that we should get a confirmation from the camera back to the remote that a particular setting/command was applied successfully. Also can we push commands from camera to webremote currently without polling? nothingismagick added a comment to T713: Plan to participate at Chaos Communication Congress. I will most definitely also be there this year, and we are planning on running a KinoKabaret Assembly using the KINOÏT Platform. It would be really great to work together and let some hacker-filmmakers get some experience with the AXIOM. nothingismagick added a comment to T932: AXIOM WebRemote: make main content dynamic. Legal issues? If you mean JetBrains Webstorm - there aren't any legal issues. The EAP version is their prerelease of their software and it is entirely legal and free to use - without registration. Otherwise I wouldn't have shared it in the VM I built. FYI - I updated the README at the Git Repo - and found a couple files that weren't included in yesterday's commit. I hope it is dynamic enough. nothingismagick added a comment to T741: AXIOM Beta/Gamma/Remote logo design. nothingismagick added a comment to T933: AXIOM WebRemote: Evaluate Gulp for processing. Absolutely. I can look into this while building a git project if you like. nothingismagick added a comment to T697: create firmware image creation script. nothingismagick added a comment to T938: CE Certification. nothingismagick updated the task description for T939: AXIOM WebRemote: Detailed Specs, Requirements and Build. nothingismagick created T939: AXIOM WebRemote: Detailed Specs, Requirements and Build. nothingismagick added a comment to T821: CE and FCC Certification. nothingismagick created T938: CE Certification. nothingismagick created T937: REST service and consumer proposal. nothingismagick renamed T936: Open Source Licensing Issues from Open Source Licensing Unclear in Python Files to Open Source Licensing Issues. nothingismagick created T936: Open Source Licensing Issues. nothingismagick added a comment to T833: Networking Helper. nothingismagick added a comment to T824: should we have a single git repository for every (compiled) tool?. nothingismagick created T935: AXIOM WebRemote Security Recon. nothingismagick added a comment to T743: Axiom Cryptocamera.